Mark your calendars! On Saturday November 10, The Monterey Bay Salmon and Trout Project is having their annual fund-raising Albacore Dinner. MBSTP is a non-profit (501C-3) volunteer organization acting to restore the native salmon and steelhead trout population in our area. Partnering with the Castroville Rotary Club, MBSTP’s 41st Annual dinner includes a silent auction and raffle prizes galore. If you like to fish for salmon, please support the organization that has been diligent in maintaining and enhancing salmon and steelhead populations in our area. The event starts at 6 p.m. at the Castroville Recreation Center and tickets are available at the door. Despite a few windy afternoons, most days were very comfortable for fishing in our area last week. Todd Fraser at Bayside Marine reported, “The inshore fishing conditions have been perfect for running up the coast. 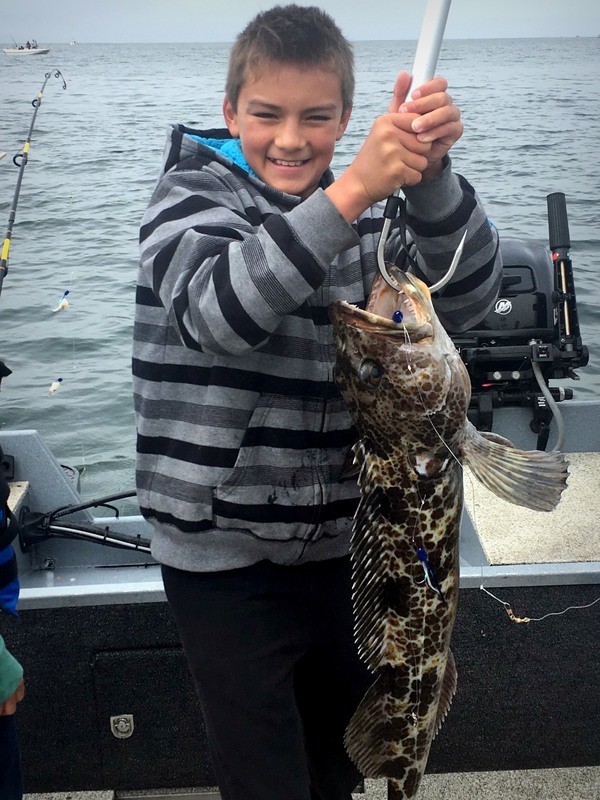 There were decent scores of rockfish and lingcod caught near Four-Mile and Davenport. Franklin Point also produced some quality fish. There were some halibut caught up the coast from Three-Mile to Davenport.” Fraser included that anglers fishing from the Cement Ship down to Pajaro have been catching halibut and a number of white sea bass. 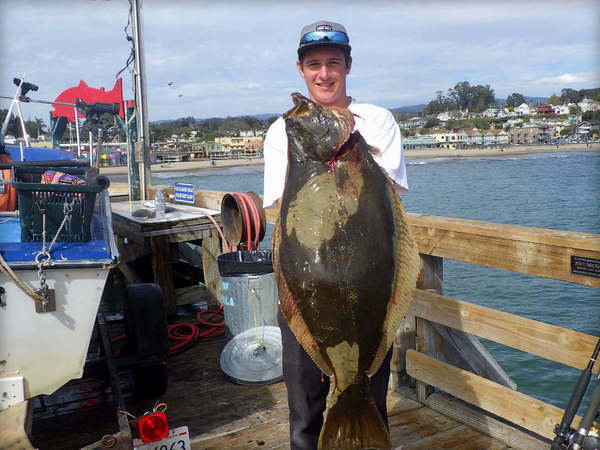 The Kahuna out of Moss Landing reported good fishing at Point Lopez again. It’s a long trip but so worth it. 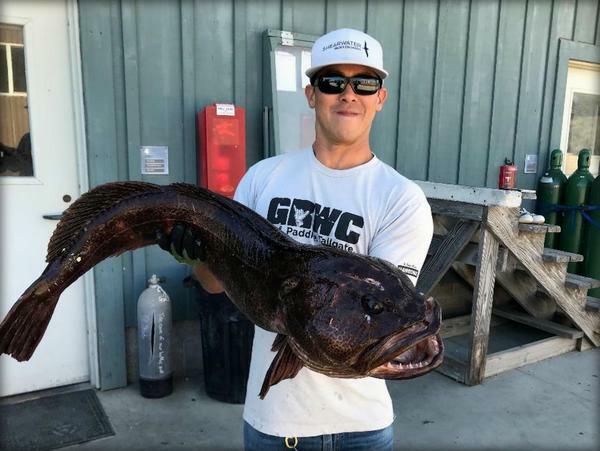 According to Carol Jones, last Saturday’s trip on the Kahuna resulted in 30 copper rockfish, 44 lingcod (up to 30 pounds), 105 assorted rockfish and 85 vermilions. As usual, Chris’ fishing trips reported rockfish limits. Their trip on Saturday counted 260 rockfish and 54 lings for the Check Mate. From Santa Cruz, the Miss Beth caught “crew limits” of rockfish and five lings up to 15 pounds on Tuesday. Beth Norton reports, “We fished near Davenport using herring and live bait. The water was flat calm with no wind. Need some salmon for the table or the smoker? There may be time for a last hurrah if you are quick about it. Captain Tom Joseph from Fish On Sportfishing (Sara Bella) says, "I’ll be running salmon trips until the end of the season. October 31st will be the last day for 2018. The salmon have finally showed up this last week in front of the (Half Moon Bay) harbor and a few miles up the coast." Or, head up north for epic freshwater action. JD Richey says, “Trinity River salmon and steelhead fishing has been amazingly good this past week for me!! The kings are chrome bright and there are lots of ‘em! We’re also seeing at least a couple nice adult steelhead per trip.